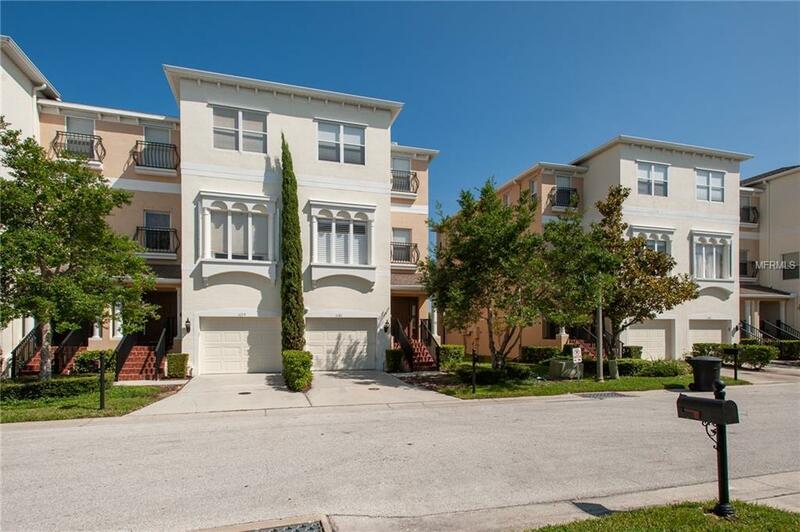 Gorgeous Mediterranean-Style End Unit Townhouse - Updated throughout, this luxurious home features Hardwood Floors in Living Room and Office, Oversized Crown Molding in Living Room, Newer Appliances in Kitchen, Built In storage cabinets in Office, Utility Room and upstairs hall. Hunter Douglas shutters and window treatments in Bedrooms and Office. Lanai for easy entertaining. New A/C Units in Home & Garage, Security System. The Tandem Garage is Oversized, Climate Controlled and can be used for parking or as your gym space. Centrally located with easy access to Tampa, downtown St. Petersburg, and the beaches. Community features a boat dock and kayak launching area. A Must See!